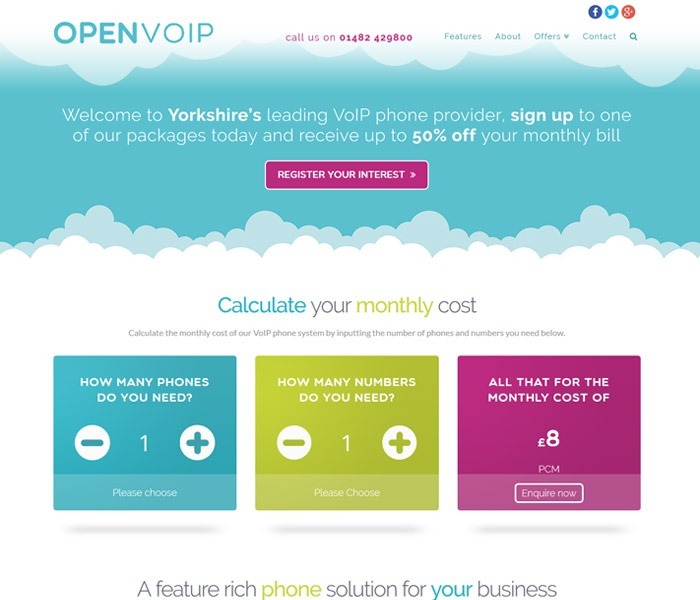 OPEN VOIP are a Hull VoIP company who provide VoIP phone solutions for businesses across Yorkshire. As web designers we were also able to make design changes to the website. The design changes we made included adding more calls to action to the site and adding new pages to promote the company’s special discounts for schools, colleges and charities. As well as managing OPEN VOIP’s organic SEO, we also set up and manage their Google Ads campaigns. This means that a pay-per-click advert for OPEN VOIP appears above the organic results on Google for their chosen keywords which, together with their organic listing, gives them great exposure on page 1 of Google Search.